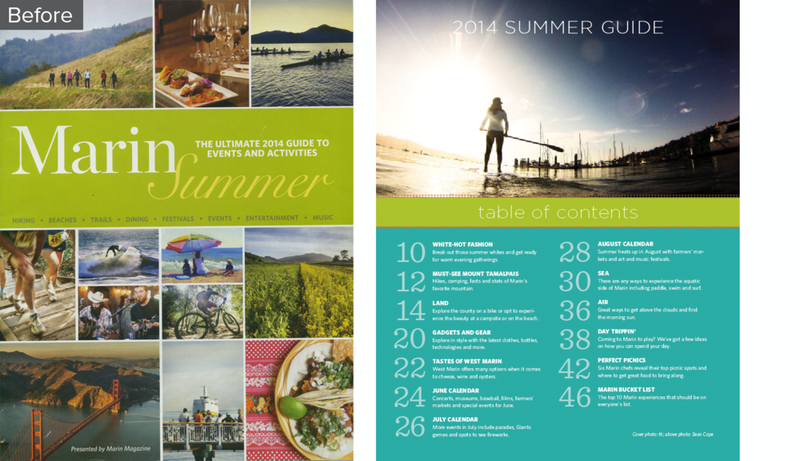 A 50-page supplement for Marin Magazine, a regional lifestyle magazine for Marin County, California. Published June 2015. BEFORE The previous supplement in 2014 featured a multi-image cover design and a mix of typographical styles. AFTER The publication's design was updated inside and out. 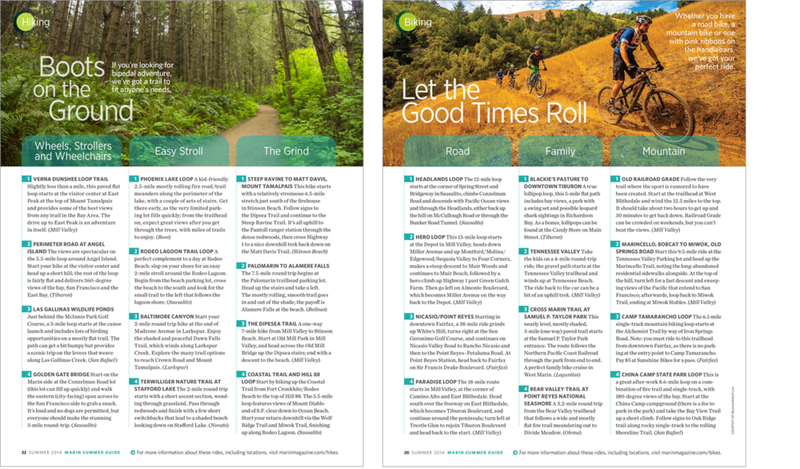 One-page featurettes on hiking and biking rated by access or location were designed on a 3-column grid. An illustrated centerfold provides sends readers on an educational day trip while monthly calendars target other activities. for visitors and locals alike.